Speedo "Harmonica" Jones Harmonica & Vocals Born: Brooklyn, NY Speedo has been living the blues practically since birth. At a very early age, he was hooked on the AM radio stations on the right side of the dial. Artists like B.B. King, Muddy Waters, Bobby "Blue" Bland, Bill Doggett and Jimmy Reed would fill the airwaves with sounds that would touch his soul. At age 14, he started playing harmonica professionally after hearing the sounds of Paul Butterfield and James Cotton. Other major influences included tenor saxophonists Red Prysock, Sil Austin, Clifford Scott and King Curtis in addition to Jazz organists Jimmy Smith, Jack McDuff and Jimmy McGriff. At age 16, the very first concert he attended was the original Savoy Brown band featuring Kim Simmonds on guitar and Chris Youlden on vocals. Little did he know that he would play with both men individually later on in his career. In the meantime he formed the Blues Blasters, the American equivalent of John Mayall's Blues Breakers, but with only one tenth of their success. In 1979, he was a part of the very short lived Chris Youlden Band that played at the Diplomat Hotel, Rock Ages convention in NYC. Someday some of these rehearsal tapes will see the light of day. In 1981, he formed the Speedo Jones All-Stars, a band whose personnel changed from gig to gig. The late Disc Jockey Jon Narucki of WFMU gave him his first on the air radio concert and convinced him to play live dates with the concept of the All-Star band. Members of the Speedo Jones All-Stars have included Jon Specter, Peter Malick, Kim Simmonds of Savoy Brown on guitar, Billy Troiani, Keith Lambeth, Harry Holt, Skates Bandura on Bass, George Morales, Mike Idarola, Joe Hamm on Drums, David Cohen, Dave Keyes, Mitch Margold on Keyboards to name but a few. In 1984, he cut the Blues Blasters "Live from the Open Road" which featured Peter Malick and Kim Simmonds on guitar and Mighty Mouth Evans on vocals. Unfortunately, their record is long out of print. From this point on Speedo has jammed and recorded with Albert Collins, Charles Brown, Larry McCray, Climax Blues Band, Matt "Guitar" Murphy, Mick Taylor and Kim Simmonds. In 1988, he recorded "Have Blues Will Travel" one of the ten best Blues albums of the year, with the great Mick Taylor. 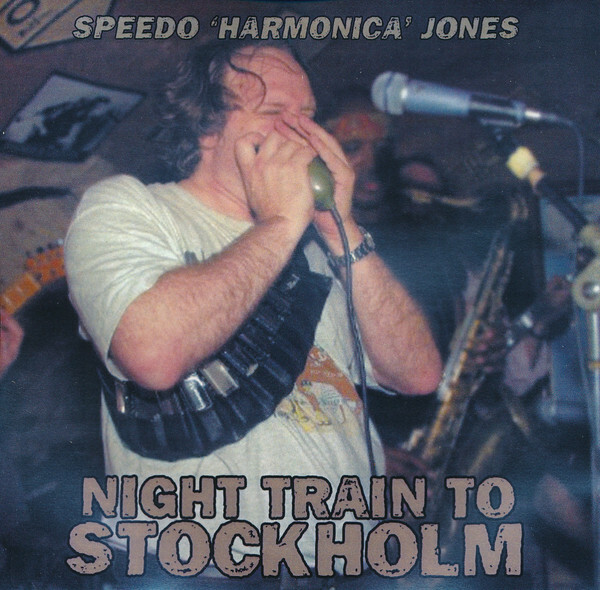 After the Blues scene in NYC died in the late 1980's, Speedo set his sights on Europe and has been playing in Sweden since the early 1990's.